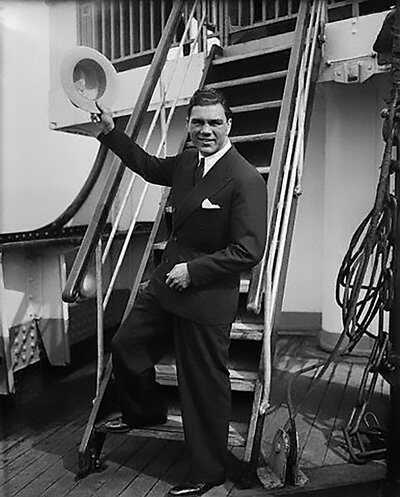 Jack Miley, sports columnist for the New York Daily News, admitted he underestimated Max Schmeling in 1936, in this syndicated column published the day after Schmeling defeated Joe Louis. New York, June 19 -- The cow killed the butcher, the condemned man knocked off his executioner, a million dollar business crashed into bankruptcy and there was weeping and wailing in Harlem when Max Schmeling, the old man who came back, impaled the supposedly invincible Joe Louis with his stout right hand in the twelfth round of their fifteen frame fracas at the Yankee Stadium tonight. When Jim Dandy, the 100 to 1 shot romped home at Saratoga, when Jim Braddock thumped Maxie Baer from his throne, when Tony Canzoneri whipped the whiskers off of Jimmy McLarmin, all this was piker stuff compared to the upset the German ex-champion pulled by stiffening the Sepia Scourge who was supposed to dust him off with a punch or two in a round or so. The fight proved a couple of things. One was that Louis could take a punch and keep going. The other was that the wonder boy was a sucker for a right hand and that when he was hit properly he'd fall to pieces like all the rest of 'em. 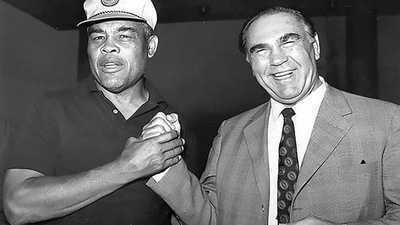 Last December, when Joe was training for his Paolino bout, Max Schmeling visited his camp and shocked the experts by remarking "the boy is an amateur and he makes many mistakes he couldn't make if he were fighting me." Everybody laughed when Schmeling sat down to dissect the technique of the chap who'd chilled Baer and Carnera, but these scoffers -- myself included -- laughed out of the other side of their mouths when they saw Louis sitting on the canvas at Schmeling's feet, with the Dutchman saying "I told you so." 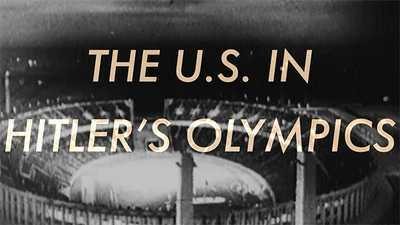 For Joe Louis was really an amateur at the hands of an old campaigner. He made all the mistakes in the book and the chap who had criticized him took advantage of them all. I think that writers who sneered at Schmeling when they watched him work out at his training camp in the Catskills these last six weeks -- myself included -- owe Max an apology, and I'm making mine now. He fought the greatest battle of his career tonight and he deserves plenty of credit for it. He was the first of Joe's foes I've seen with the exception of the courageous but harmless Paolino Uzcudun, who wasn't afraid of him when that bell rang. Max's knees didn't knock, the color didn't drain from his face. He just walked out there, laughed off a light jab to his pug nose and bounced a wicked right cross against Joe's head. I think that was when Louis realized his number was up. If he didn't he most certainly did when Max maced him with another of those haymakers that decked him for a short count in the fourth. From then on Joe acted as if he knew he had met his master. His punches lost their steam, he was out on his feet more than half the time and Schmeling laughed right in his puzzled pan and nothing happened. I don't know when I've seen a fighter so completely out on his feet and still in there trying. You've got to give Joe credit for he tried when the odds were 1,000 to 1 that he wouldn't be there for the final bell. Joe must have known it and the wily old jack Blackburn knew it, not to mention some 70,000 shrilling spectators who were howling for the kill. Blackburn was heartbroken as he worked frantically over his boy during the rest periods and I felt sorry for the poor old fellow. For Jack's heart was all wrapped up in Joe who was as a son to him. He had made Louis, and every time Joe was jolted on the jaw by one of Schmeling's savage chops you could see old Jack wince. The handiwork of two laborious ears, the flesh and blood he'd hoped to fashion into championship stuff, was disintegrating before his eyes -- and it hurt plenty. A fight away from the title. Boxing a supposed pop-over, and the crash comes. You can't beat that for a kick in the face from the fates, can you? Blackburn's tearing tiger was just a stumbling cinnamon tabby cat. Schmeling toyed with the wonder boy. Louis looked like a big leaguer for exactly two rounds but then he started to fold. A couple of times -- in the eighth and tenth rounds -- it looked as if the anguished Louis were going to foul out. He lashed low lefts into his foeman's groin that had Schmeling crying like a baby. Schmeling sort of evened the rough stuff by going to work on Joe a couple of times after the bell and in one of these foxy forays, I think it was the fifth, he actually knocked him goofy and sent him reeling in a rubbery-legged way to his corner. The Louis bubble is pretty well burst, I think. Everybody wondered what would happen when he ran into a guy he couldn't cow. Well, now, we've got the answer. Joe will try a comeback I suppose. He's young and he has plenty of fighting years ahead of him. But there are two strikes on him now, for Schmeling showed the rest of the boys what to do until the doctor comes. The real winner in tonight's holocaust was promoter Mike Jacobs. Schmeling did pretty well himself, but Maestro Mike fared better, for a few days ago -- merely as a precautionary measure and not because he thought it would be actually necessary, Promoter Jacobs signed Schmeling to a contract that stipulated he would fight Champion Jim Braddock for him in the event he accomplished the unexpected and got past Joe. The happiest guy in town is Braddock. He'd rather fight Schmeling than Louis and he gets his wish. Jim thinks he can beat Schmeling and I'm inclined to agree with him. Braddock was as surprised as the rest of us at Max's miracle. He had picked Louis to win, after studying both fighters, so that makes him just another expert gone wrong. There are reports from abroad that Hitler intends to make Joe (Yussel the Mussel) Jacobs a field marshal for his managerial services to Max. As for Louis, he's regusted. 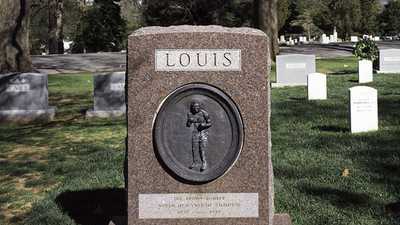 Pulitzer Prize-winning sports columnist Walter "Red" Smith remembered Joe Louis' strength of character in a New York Times column shortly after the boxer's death.